Open Badges are beginning to gain momentum in Europe. We are just starting to grow our Open Badges DACH Usergroup (OB-DACH) for DACH countries (Germany D, Austria A, Switzerland CH) inspired by the Open Badges ANZ Usergroup for Australia and New Zealand (OB-ANZ). I would like to invite you to join our Google+ DACH Community and connect with us on Twitter – @DACHbadges. 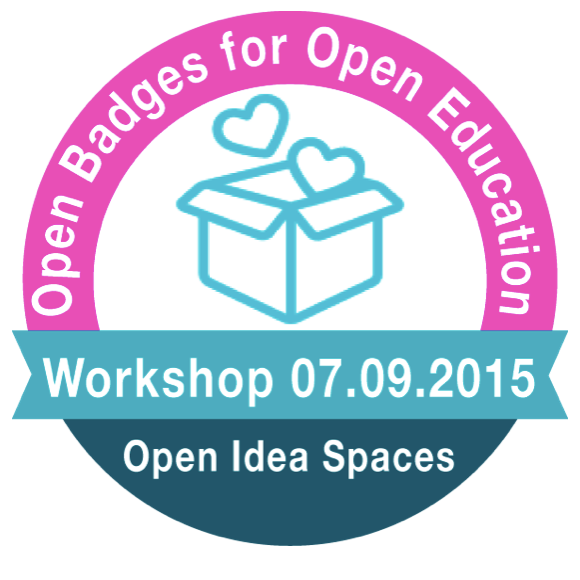 For all German-speaking users of Open Badges there is also the German Badge Design Canvas. The original canvas has been developed by DigitalMe in UK to guide the design process of Open Badges. I am looking forward to community building and connecting with Open Badges practitioners and researchers! This year I was honoured to act as the General Chair of the 4th international PLE Conference, which took place 10-12 July 2013 in Berlin at Beuth University of Applied Sciences with a parallel event in Melbourne at Monash University. The PLE Conference is dedicated to Personal Learning Environment and is an international scientific conference taking place annually, each time in a different city. 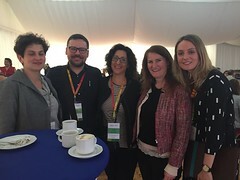 Following the successful events in Barcelona in Spain 2010, in Southampton, UK in 2011, Aveiro, Portugal and Melbourne, Australia in 2012, the 4th International PLE Conference 2013 was held in Berlin, Germany and in Melbourne, Australia. The aim of the PLE Conference 2013 is to create a space for researchers and practitioners to exchange ideas, experiences and research around the development and implementation of Personal Learning Environments (PLEs) – including the design of environments and the sociological and educational issues that they raise. This year, the special theme for the conference was learning and diversity in cities of the future. The focus was on how to design Personal Learning Environments in order to support diversity, cross-boundary learning and interdisciplinary transformation of urban spaces as part of highly interconnected social and technological infrastructures of smart cities. As in smart urban spaces, people, organisations and objects become interconnected by means of new technologies and media, innovative, sustainable and inclusive solutions for connected learning become crucial not only in terms of emerging technologies but first and foremost in terms of (i) human knowledge and skills, (ii) diverse and inclusive communities, as well as (iii) learning and knowledge networks. In search for an intelligent exploitation of networked urban infrastructures for learning and the extension of the current understanding of Personal Learning Environments, the PLE’13 Call for Papers looked for concepts, scenarios, technologies, frameworks as well as educational approaches for constructing PLEs to support learning in smart urban spaces. We are currently working on the Conference Proceedings and the Special Issues – the Special Issue of eLearning Papers (Issue 34) and in the Special Issue of the Journal of Literacy and Technology (JLT) – which will include best papers from the PLE Conference 2013. The publications are scheduled mid September. I would like to take this opportunity and thank all of you who supported this year’s conference as a member of the Organising Committee and/or as a member of the Scientific Committee! It has been a great experience and the success of this year’s conference would not be possible without you!!! We will soon have the recordings of the sessions featured at BeuthBox campus TV. For the time being have a look at the pictures from the conference on Flickr, e.g. here + here + here + here + here + here + here + here + here + here – and have a look at the latest updates including links to slides on SlideShare in our PLE2013 Facebook group. The proceeding of the 10th international conference of ePortfolio and Identity – ePIC 2012- have been recently published. It is great to see here my first research results on “Gender-specific ePortfolio practice and gender-sensitive ePortfolio design” published in the paper with the same title. In 2013 I am planning to conduct further research based on the conceptual framework presented in this paper. In the proceedings you will find a wide range of publications looking at ePortfolio and Identity from diverse perspectives. the proceedings include special themes, such as ePortfolios in “Healthcare” and “Teacher Education” and more general sections such as “Identity and Social Recognition”, “Assessment” and “ePortfolio Implementation”. I especially enjoyed discussions and contributions related to identity and recognitions. My personal highlight of ePIC 2012 was Mozilla’s workshop on Open Badges which really inspired my research this year. Here is the link to the proceedings of the ePIC Conference 2012.